If you come to think of it, all families are dysfunctional, and dysfunctional in a way only families can be. The Chackos are no exception. Mariamma Chacko, an otherwise sharp-witted and intelligent woman, is often seen entertaining the walls in her house. Wagging her finger with her saree hitched at her waist, she grouses about her mother-in-law and nine sisters-in-law while simultaneously plotting her husband’s death. Quite natural, most would say. Then there is the pathos of Ousep Chacko, the man of the house, a drunkard, failed writer, and the father of Unni Chacko, who jumped off a building three years ago. Their second son, Thoma is weak in mathematics and generally terrified at the prospect of life. The triad’s dysfunctional quality only magnifies in the context of an austere Brahmin middle-class neighbourhood in the Madras of the early 1990s where, “men are managers and mothers are housewives” and all fathers belt their sons, in the hope that they will clear the J.E.E. and go to America. The novel’s skeletal plot involves a father’s search for meaning and reason in his cartoonist son’s suicide, a brilliant boy of 17 who believed that happiness is inevitable, that humanity is inherently predisposed to happiness. In the course of excavating his son’s esoteric life through his ingenious comic strips, and doggedly chasing his friends to extract fragments of him from their memories, what unfolds is a remarkable exploration of deep-rooted philosophical quandaries. Truth, meaning and purpose, the most significant components of our existential dilemma, are honoured with a riot of theories that seek to explain our dystopian predicament. 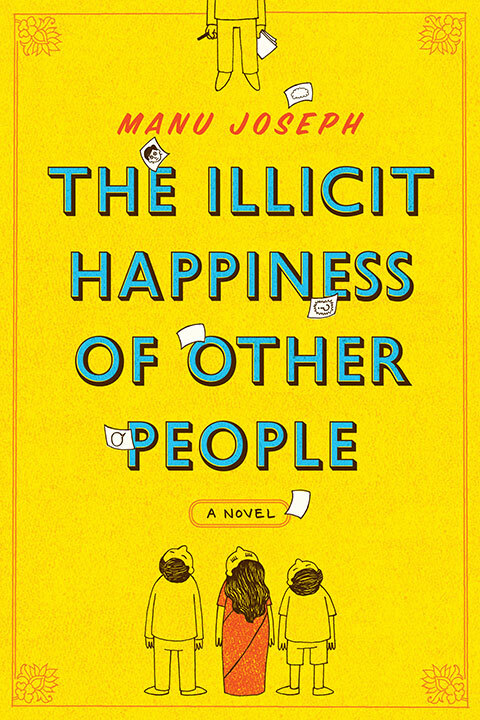 Both engaging and amusing, it is these investigations—the beginning of it all where all good has been conquered by evil, nature’s anathema to man, truth as a mere delusion, the conspiracy behind “normalcy”—that lend Joseph’s novel a superlative poignancy. That said, the book’s canvas is expansive, rich with both small details and megalomaniacal subjects; it allows for the continuous shifting of the narrative to capture both everyday rituals with blithe humour and probe into theories of everything. In Joseph’s milieu, the names of apartment blocks assume as much significance as a schizophrenic’s perception of the world. This is precisely why it is impossible to buttonhole the novel into any genre. It is rumination, masquerading as a story. It is consciousness, the sheer magnificence of it. It is also impossible to say what the book is about. It is empathetic to Ousep Chacko’s quest and Mariamma Chacko’s grief. It fulfills the adolescent fantasies of Thoma and exquisitely captures the artistic acumen of a prodigy. It embeds its characters in a world that they are almost always happy in, even if that happiness may be delusional. At the same time, it accepts human frailty and the dangerous pursuit of truth and beauty. And the fate of those who pursue them is shrouded by an inevitable doom. It has its faults of course. The large chunks of confessions placed at strategic points in the novel seem a tad bit convenient. They give the plot a spasmodic feel. The eccentricity of the characters, the number of them that ferry their way in and out of the book, also feels contrived. But these are small glitches, easily forgivable because the novel is still engrossing, and there is no tangible line that separates fiction from the real. The Illicit Happiness of Other People is a reflection of what can materialise from the osmosis of a dispassionate but ambitious writer. Joseph deftly weaves a novel that is a rare sighting: a blue moon, exciting and wholly fulfilling.